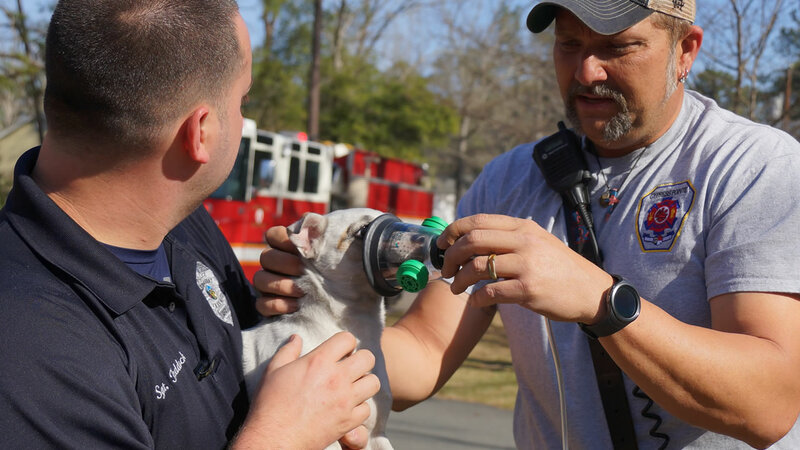 VASS, North Carolina -- Cypress Pointe Fire and Rescue, which serves Moore and Harnett counties, helped a dog in distress during a house fire in Vass Tuesday. Firefighters got the call around 9:30 a.m. about the fire on Oakwood Drive. It turned out there were two cats and a dog inside. The dog appeared to be suffering from smoke inhalation. The firefighters keep a special oxygen mask on their truck for pets, and used it on the dog. After a few minutes of treatment, firefighters say the dog named "Patty" perked right up and should be fine.